Students will understand the importance of close observation and developing curiosity when exploring any new topic. Tell students that today they will be introducing the concept of adaptation. Define AdaptationAs the change that happens when species become better suited to their environment. Inform students that they'll be working together to look closely at birds that adapted in two different ways to become better suited to their environments. 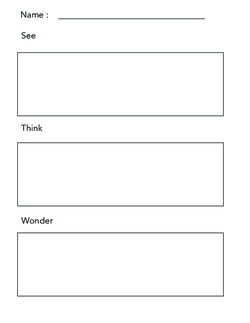 Show your class an enlarged version of the See Think Wonder handout on chart paper. Explain that you will be modeling how to do a thinking routine. The routine has three different parts. Tell your class that the first part of the routine asks them to describe things they can see. To help them make observations that are concrete, ask your class to point to the place on the image where they discovered their observation. For example: I see the colour blue. I see water. I see a bird. As a group, ask your students to make observations and record them on the chart paper. Tell your students that now they will have the opportunity to think about the observations they've made. Instruct everyone to look at the images and think like scientists. Have your students turn and talk to their partners about what they think about the images that they've just observed. 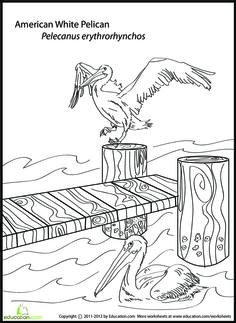 For example: I think the pelican can fit a lot of fish in its mouth. I think the penguin can swim really fast. 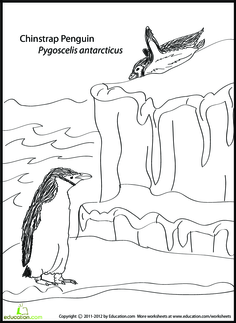 I think the penguin probably walks slowly. I think it's cold where the penguin lives and warm where the pelican lives. 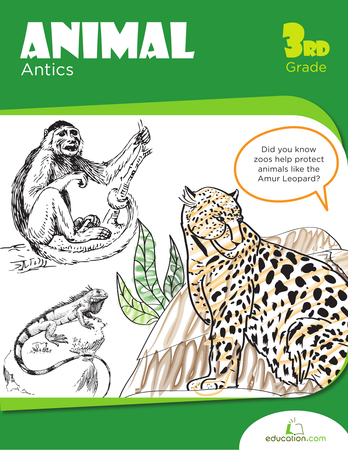 Tell your class that everyone will now have an opportunity to get curious and come up with some great questions they can research as they learn more about animal adaptations. Ask your students to go back to their seats and find partners. Each pair should record the questions it comes up with on their See Think Wonder handouts. Instruct them to choose two of their favorite observations and thoughts from the See and Think whole group exercise. Support:Students can often times have a hard time concentrating on just one piece of the routine at a time. If you see students naturally begin to start making assumptions rather than direct observations, feel free to go with it. Simply let them know that their thought or assumption falls under the "think" category of the routine so they get to used to seeing how the different parts of the process unfold. Gather your students together as a whole group. Ask them to share out one question or wonder that they came up with. Collect the See Think Wonder handout to compile a class list of wonders they'd like to research as your class continues their study of animal adaptations. Tell your students that close observation at the beginning of any unit is a great way to set their curiosity on fire and to help them identify things that they find interesting. With this word search, match up game, fun facts, your child will learn more about urban animal habitats. 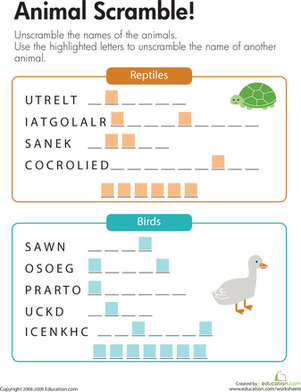 Kids will get to learn some animal vocabulary with this wild crossword puzzle.